The basement of the old C-Street Safeway (where the rest rooms were and later the jail cells for the police) was one of the creepiest places I remember every entering in my life (with maybe the exception of the old sanitarium building on the grounds of the soon to be torn down Laurel mall)! We lived @ 4 Woodland CT late 70’s early 80’s, my mom worked in the bakery there at that time. Ears earlier I believe. Grandfather worked produce there & y uncles were stock boys (Grandma worked in Giant’s Bakery) I took a couple of trips across the train tracks back then myself. Am I wrong? 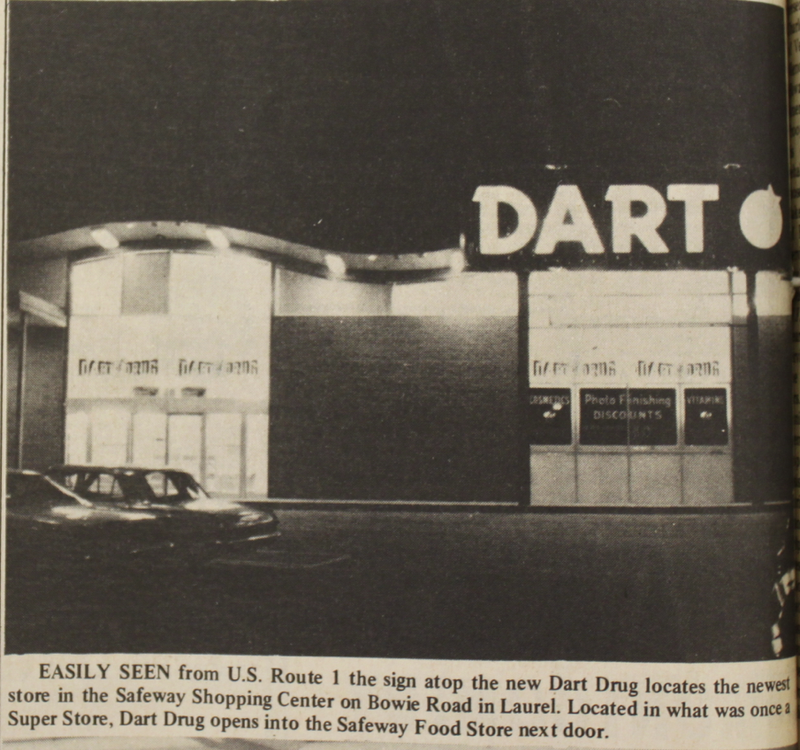 I thought that the first Safeway store was on Main street.between High’s and the old Jewelry store. 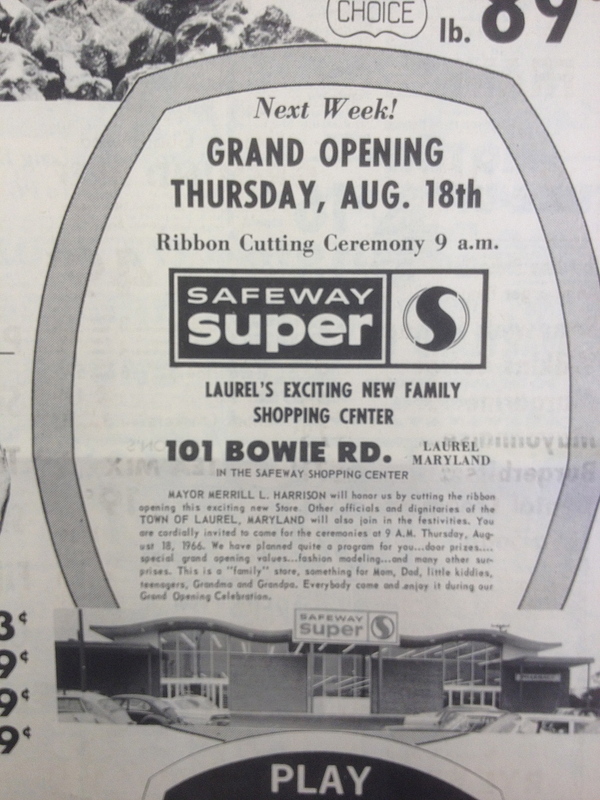 My family moved here in 1950 and I remember shopping at what I thought was a Safeway store. This store had a glass butcher meat display and a butcher who cut the meat.. 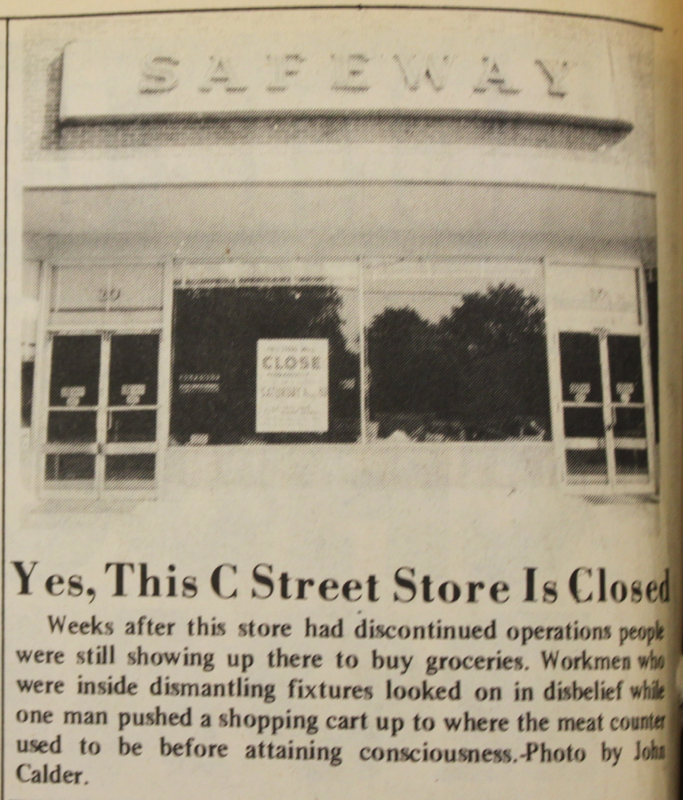 When the new Safeway opened around 1952 we all thought that the new C Street Safeway was wonderful because it had modern packaged meats for sale. That’s correct, Nancy. 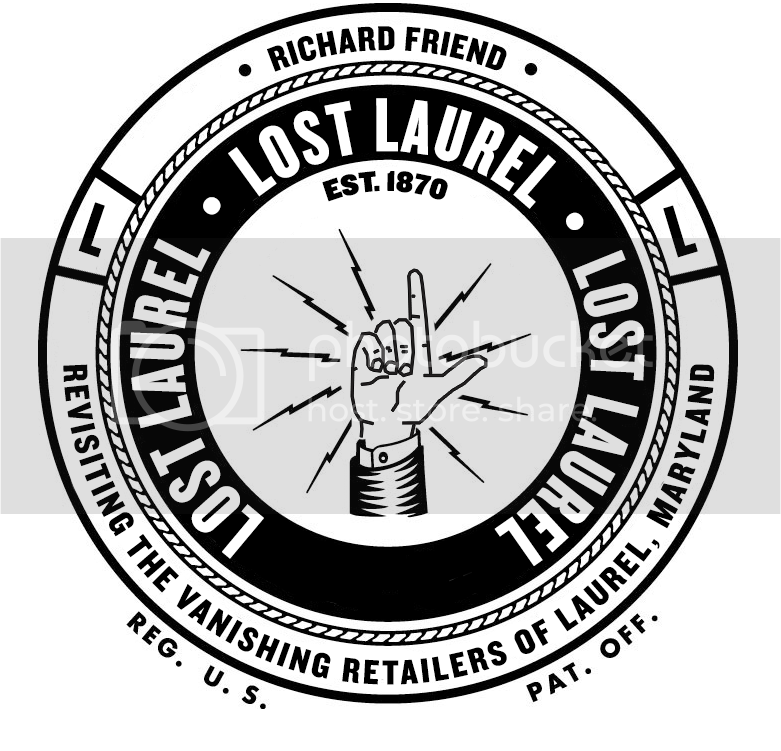 In fact, I had just learned this myself the other day, and posted a set of photos sent to me by Kevin Leonard—which he’d discovered in the Laurel Historical Society’s research library. 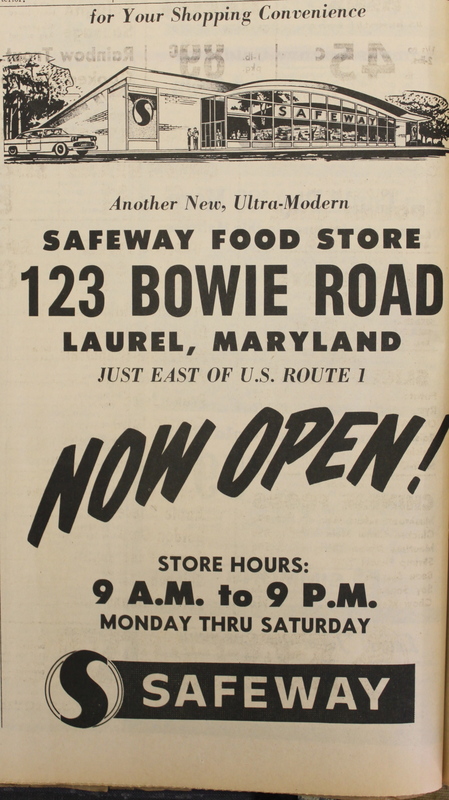 For the moment, a Safeway in that style is still in business on University Boulevard in Silver Spring, just west of Route 29. 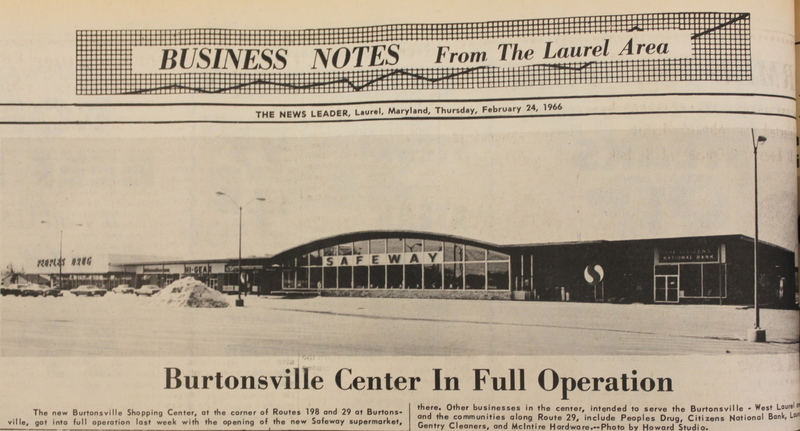 Several like it have been renovated or demolished in the past 20 years, in Wheaton, Kensington, and Colesville.